This test is a stand alone for a very important reason. 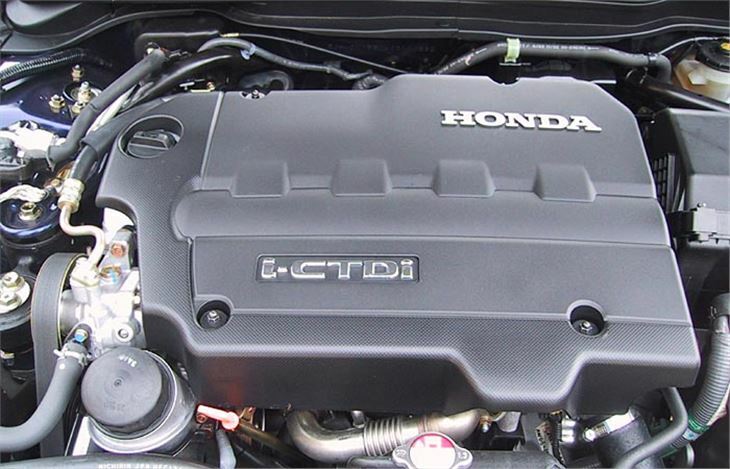 The new Honda Accord CTDI is Honda’s first home grown diesel. Ever. And it’s up against some very serious competition. 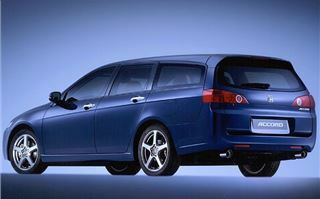 You’ll find a test of rest of the Honda Accord range of saloons and Tourer estates elsewhere on this site. These are cars that bridge the gap between Vectras, Mondeos, Avenses and Mazda 6s and the high profit status duo of BMW 3 Series and Mercedes C Class. You actually get a bigger car, more like a 5 Series in size and a very nice motor it is too. Of the range the 2.4 Executive Auto got my vote, especially with the Tourer body. 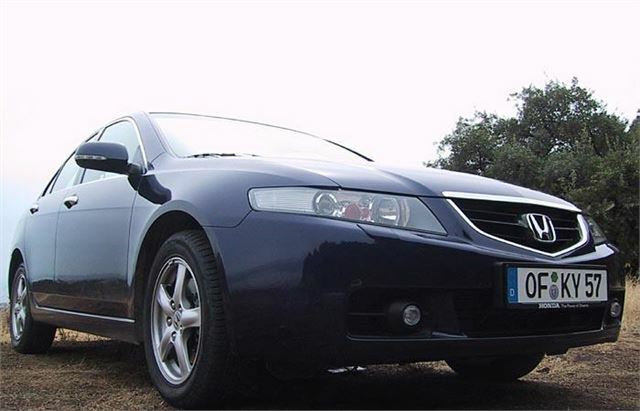 First off this all-new 2,204cc common rail diesel is a chain cammer, like the BMW, Mercedes, Ford Mondeo, Vauxhall Vectra, SAAB 9-3 and Rover 75. On paper, with just 140PS, it doesn’t come over as a winner in the power stakes. The BMW320d gets that accolade. 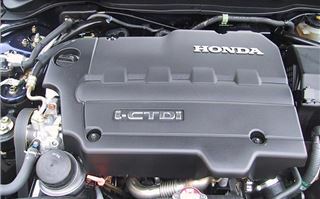 But for Honda engineers to have signed it off at all it had to be to other diesels what Honda is to other petrol engines. The best in class for refinement. Honda wasn’t going to put its name to some gruff and growly old oil burner. Yes, from outside it sounds like a taxi. And from inside you can hear a muffled but familiar diesel knock. But the way it behaves is as un-diesel-like as the Toyota Yaris diesel. The torque is there by the bucket load (250 lb ft at 2,000rpm). But what you don’t get is any sign of the catapult effect so many diesels are guilty of. What I mean is nothing at all under 1,000rpm, then everything at once as soon as you get close to 2,000, then nothing again from 4,000rpm onwards. The new Honda CTDI is smooth and punchy throughout its rev range. It’s so flexible and free revving that on the 30mile climb of a thousand corners from Marbella to Ronda I left it in third most of the time. Unlike the Avensis D-4D, there is enough grunt to unstick the front and no finger-wagging alarmist traction control system to heavy handedly starve the wheels of power if you do. But you soon find out how to handle that one. Out on the autopista (which isn’t Spanish for ‘car launch’, by the way), the steering is a bit less happy than it is on a winding back-road. You’re more conscious of its lightness and artificial self-centring. Then you look at the speedo and realise that though the engine is only doing 3,000 rpm, the car is clocking 100mph. That’s very usefully long gearing. And means drivers who do have to spend a lot of time on the motorway should see mid 50’s fuel economy. 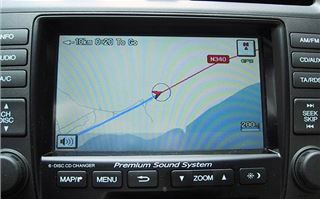 As with the other new Accords, it shares one of the best DVD satnav systems with the huge bonus of a colour touch screen, so keying in those destinations is no longer a slow and painful process. 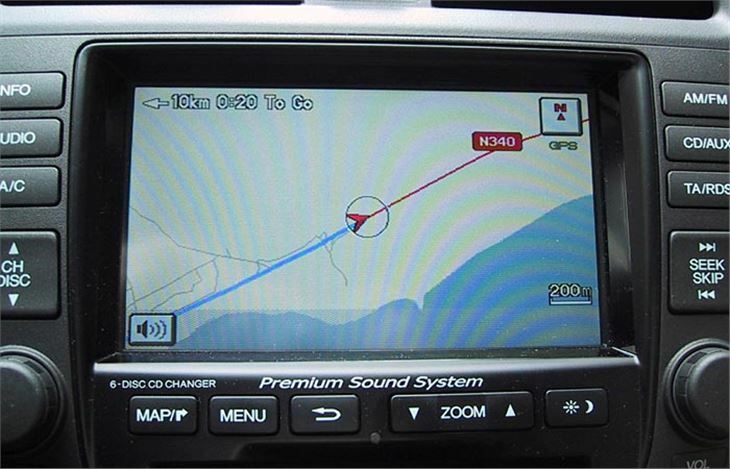 The £1,000 or so extra you spend on the satnav earns its keep rather than sits there unused like so many less friendly systems. The only gripe is with the slightly curious phraseology used by the young lady who tells you your way. Instead of “at the next junction fork right,” she says, “the road ahead forks right.” But you soon get used to her, and she hauled us out of some amazingly complex conurbations of concrete during our short time in her company. 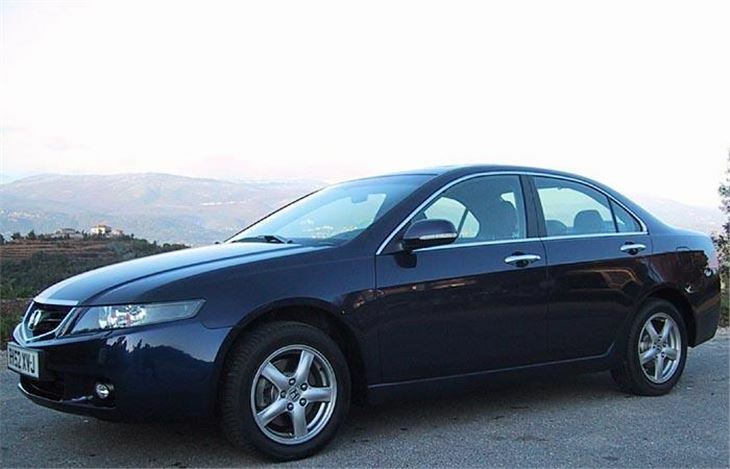 Other new Accord virtues remain. 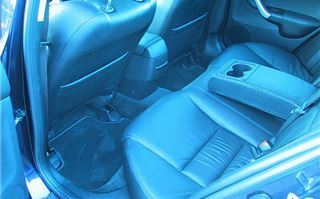 The car is comfortable with excellent ride quality. 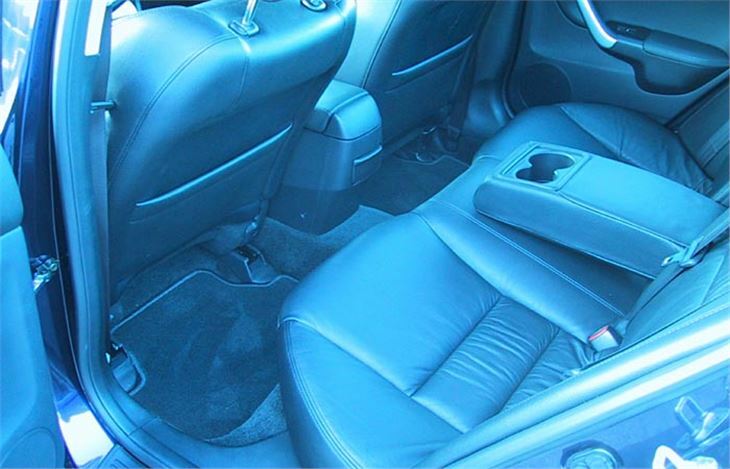 There’s plenty of room in the back, though the centre rear is best suited to children or baby seats. The doors close with an expensive sounding thunk. The speedo is huge, so there’s no excuse for exceeding a properly posted limit. And it’s as kind to any unfortunate pedestrian who may step into its path as it is to its occupants in a crash. While the Accord CTDI may not worry BMW unduly, it’s a car that’s going to steal sales by the thousand from the Mercedes C220CDI. 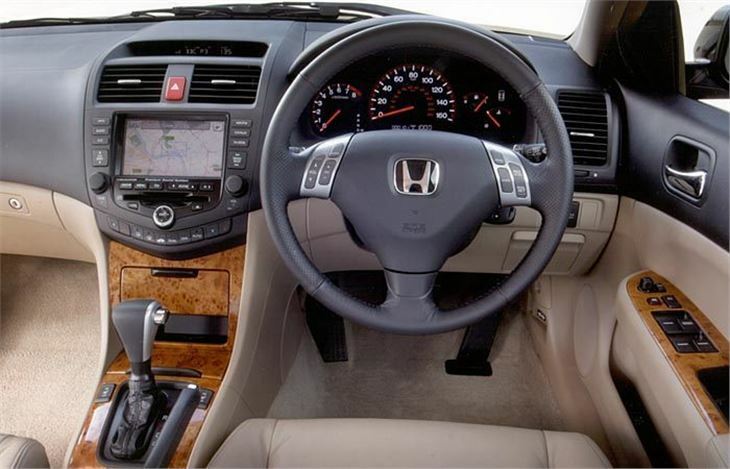 For more on the new Accord and Tourer, check out the separate test of the petrol versions on this website.